The preeminent jury instruction set available to attorneys who handle personal injury and tort cases, the four-volume Jury Instructions For Personal Injury and Tort Cases contains hundreds of instructions given successfully by judges, followed by juries, and tested at the appellate level. 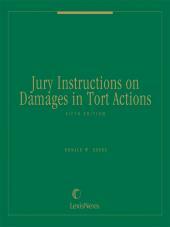 The preeminent jury instruction set available to attorneys who handle personal injury and tort cases, the four-volume Jury Instructions For Personal Injury and Tort Cases contains hundreds of instructions given successfully by judges, followed by juries, and tested at the appellate level. Each instruction cites supporting case law, including relevant law review articles and annotations to American Law Reports, so you can use them confidently knowing you have the necessary support for your request. Expert commentary helps you create the most efficient trial strategy for tort, products liability, or automobile negligence cases. 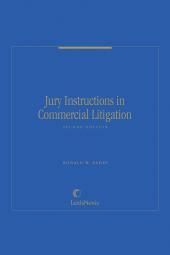 Also available individually, each volume covers comprehensively the issues likely to arise in a trial, geared to the issues unique to these specific areas of litigation: Jury Instructions on Products Liability, Second Edition; Jury Instructions in Automobile Actions, Third Edition; Jury Instructions on Medical Issues, Fifth Edition; Jury Instructions on Damages in Tort Actions, Third Edition. The late Graham Douthwaite was Professor Emeritus, Santa Clara University School of Law, and one of the nation's leading authorities on the law governing jury instructions. 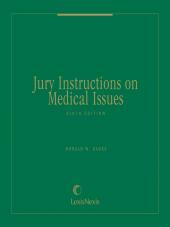 Until his death, he was the author of Jury Instructions on Medical Issues, Third Edition, Jury Instructions on Products Liability, and Jury Instructions in Automobile Negligence Actions.